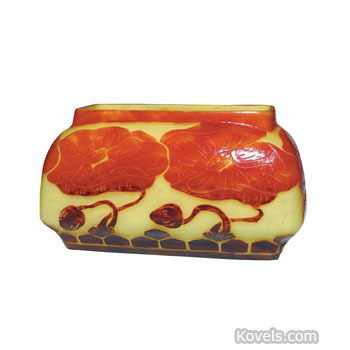 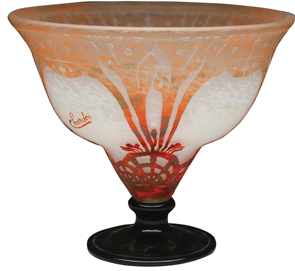 Le Verre Francais is one of the many types of cameo glass made by the Schneider Glassworks in France. 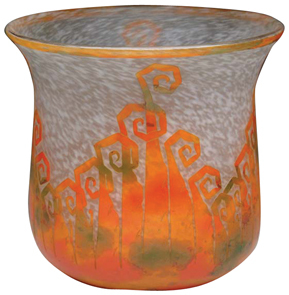 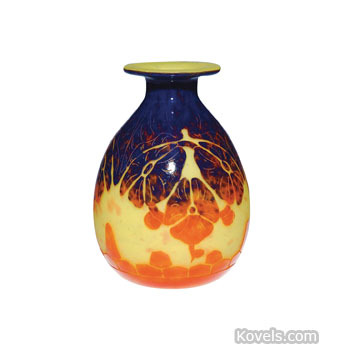 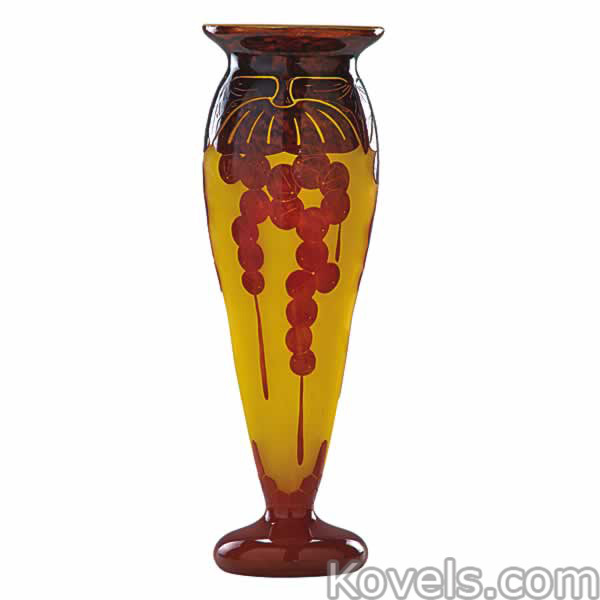 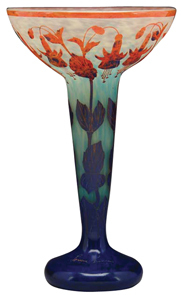 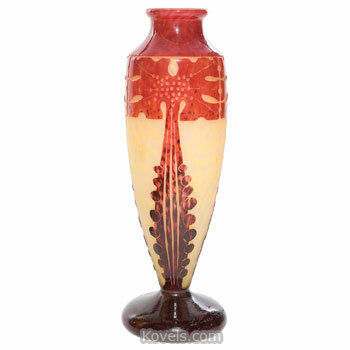 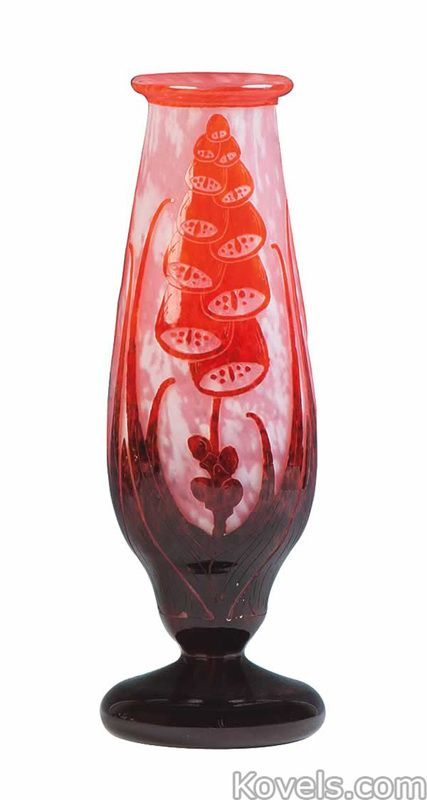 The glass was made by the C. Schneider factory in Epinay-sur-Seine from 1918 to 1933. 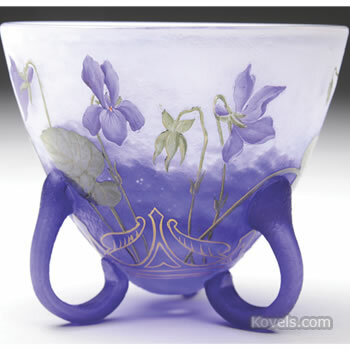 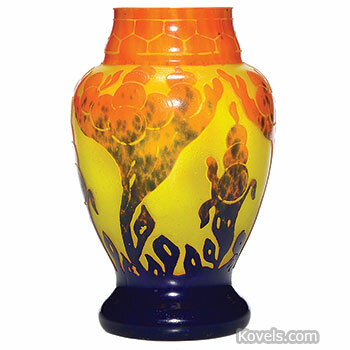 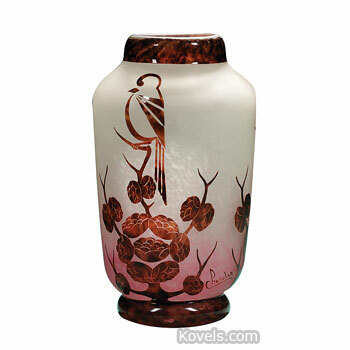 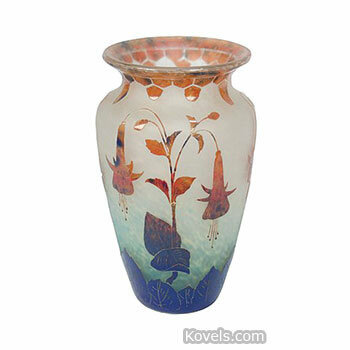 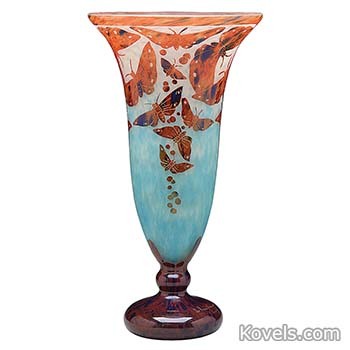 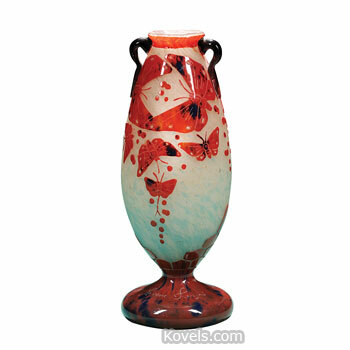 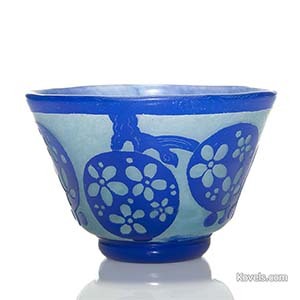 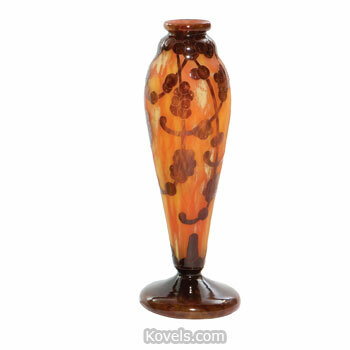 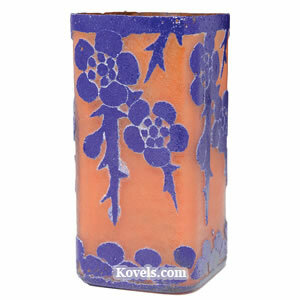 It is a mottled glass, usually decorated with floral designs, and bears the incised signature Le Verre Francais. 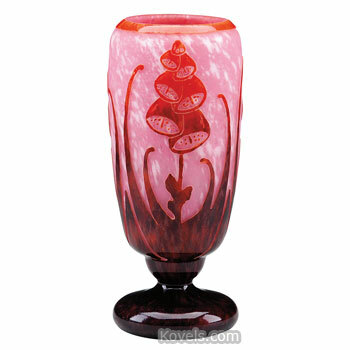 A piece of red, white, and blue striped glass, sometimes called a "candy cane," was placed in the base of the cameo glass as another mark. 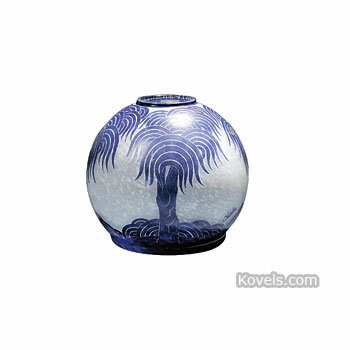 Sometimes both the signature and the striped glass appear.